Stretching from Landsort in the south to Arholma in the north, the Stockholm Archipelago is the largest group of islands in Sweden. Just minutes away from the Swedish capital, the archipelago, or Skärgården as it is known locally, is a mesmerizing place with rocky cliffs, sandy beaches and ancient villages which offer a variety of holiday rental opportunities. 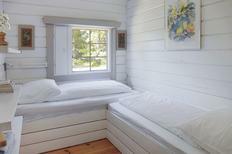 Book a holiday house or a holiday apartment and start exploring the Stockholm Archipelago's many attractions. 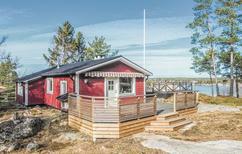 Amongst the popular destinations for holiday rentals on the archipelago are Sandhamn, Utö, Svartsö, Grinda and Vaxholm. 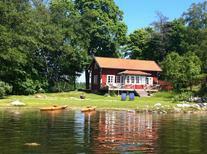 Holidaymakers tend to prefer Utö for its history and architecture, however many visit the island for outdoor pursuits such as cycling, sailing and fishing. Sandhamn is a unique island located in the outer archipelago which is famous for its Royal Yacht Club and tasty traditional cooking. 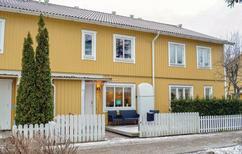 The island of Grinda is a popular family destination with many holiday rental opportunities. 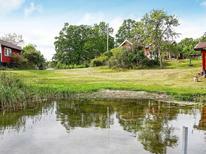 Here, you have amazing lookout points, many bathing spots and you can visit the animals at the farm. Stop by Vaxholm, a town with a long fishing and military history or rent a holiday home and visit the citadel that once defended the city of Stockholm against invasion or simply enjoy the many shopping opportunities the city has to offer. 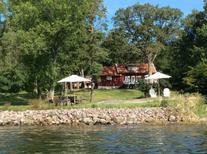 While each season has its own charm, the best time to visit the archipelago is during the summer months. Between June and August, when temperatures can reach 20°C, you can rent a holiday apartment or a holiday house and spend your vacation island hopping, swimming and sightseeing. In the winter months while temperatures can drop below zero, the snow covered surroundings, Christmas markets and a warm flask of cocoa compensate for the cold. 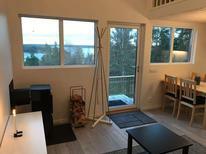 A holiday house on the Stockholm archipelago gives holidaymakers the flexibility of enjoying not only the landscape but also the region's culture and culinary delights.